Home » Product Updates » [Update] Direct Download for Reports is Now Available! 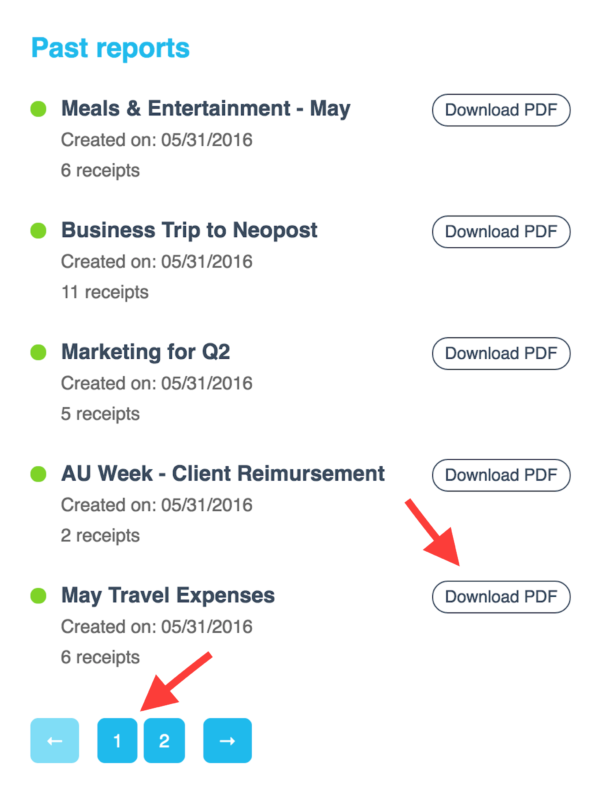 We have now added a Direct Download button for expense reports in the “Reports” section of our web app. This will allow you to save and access custom reports directly to your computer. 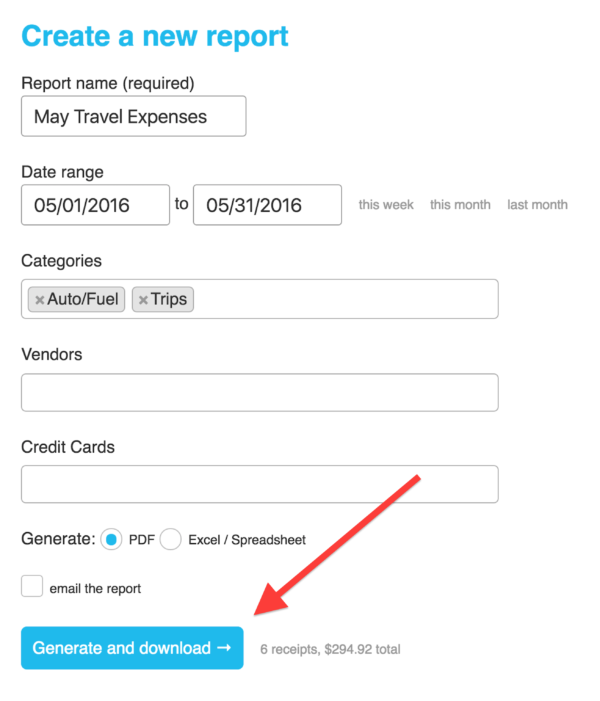 You no longer have to email an expense report as an attachment before saving and downloading it! Download reports directly to your computer as a PDF or Excel file without having to email an attachment first. Instead of having to open your inbox and access the report from an email message, you can simply create the report and save it straight to your computer, bypassing the old email attachment process. If you do need to email the report to someone (or to yourself), we didn’t completely remove the email option. It’s in the form of an optional check box next to the “Generate and download” button. The added direct download functionality is the latest update to the new Reports section – a simple but powerful page in your account dashboard that lets you create custom-built summaries of expenses with just a few clicks of a button. In addition to being able to directly download new reports, you can also view a list of past reports and download them straight to your account. View and download old reports straight to your computer. We hope the new Reports section and the updated direct download functionality make it even easier to manage your expenses. As always, we value your feedback. If you have thoughts or questions about the direct download update, please let us know in the comments section below, or let us know how we can improve our reports automation by filling out this quick survey!